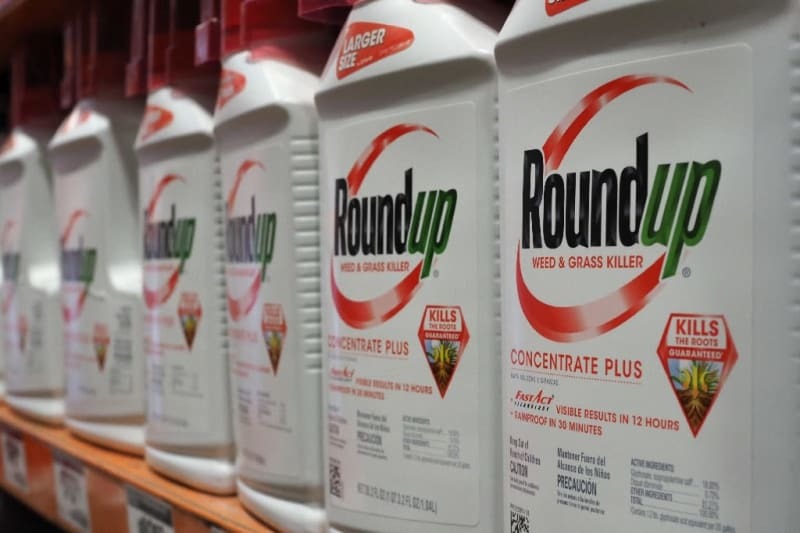 San Francisco (AFP) - The weed killer Roundup was a "substantial factor" in the cancer of a US man who developed a lump in his throat after decades of spraying his garden, his lawyer said Monday at the start of the first ever federal trial targeting its manufacturer for negligence. Edwin Hardeman, 70, treated his property in Sonoma County, California, regularly with the Monsanto-made herbicide from 1980 to 2012 and was eventually diagnosed with non-Hodgkin's lymphoma, the San Francisco court heard. "On Christmas Day 2014 he wakes up and feels this lump in his throat. He goes to the doctor the next day," his attorney Aimee Wagstaff said, telling the court that "the more you are exposed to Roundup, (the more) your risk increases." The weed killer contains glyphosate, the world's most widely used herbicide, which environmentalists and other critics have long maintained leads to cancer. The case is the first in a US District Court on the cancer risk of the weed killer but follows the groundbreaking state-level trial last year brought by school groundskeeper Dewayne "Lee" Johnson, who had the same condition as Hardeman. California Superior Court jurors last August unanimously found that Monsanto acted with "malice" and that its weed killers Roundup and Ranger Pro contributed "substantially" to Johnson's terminal illness. Brian Stekloff, for Monsanto, said there was no evidence to connect Roundup to Hardeman's disease, arguing that doctors don't know what causes non-Hodgkin's lymphoma. The attorney said the cancer affects up to 75,000 people in the United States each year and that "most of them never used Roundup." Hardeman, looking every bit his 70 years with a sparse white beard and drawn, lined features, sat in court as a screen showed a picture of his throat, with the tumor visible. In another photo he was seen smiling with wife Mary in front of the ocean. The first phase of the four-to-five week trial will determine whether Roundup caused the plaintiff's cancer, Judge Vince Chhabria said. If the jury finds it did, the next step will be to decide whether Monsanto is liable for damages. Hardeman's lawyers argue that the company concealed the risks. Johnson won $78 million in punitive and compensatory damages and other costs, although Monsanto is appealing the award. The ruling sent shares for Monsanto's owner -- German pharmaceutical giant Bayer -- tumbling on fears that a wave of costly litigation could be about to break on the firm. In November, Bayer said it would slash 12,000 jobs in a restructuring after the takeover of Monsanto. Hardeman's is the leading case among hundreds that are legally linked, but will be heard separately. Although not a class action suit, its outcome will provide a guide for the other cases. Praised by farmers for its effectiveness and low cost, glyphosate is under scrutiny in Europe and especially France, where authorities in January banned a form of the herbicide, Roundup Pro 360.